I like all kinds of gears and gadgets. While most of them were designed to make life easier, some turned out doing the opposite. With my limited budget I've procured a number of things, and I feel the urge to tell you what I think. From the perspective of a real user with a usability design background, and has NO affiliations with any brands or manufacturers. Vendors: If you like what you read and have something you want me to review, contact me and we'll talk about opportunities of a review here. There has been a strong movement in the fitness tracking industry: wearable tracker connected to a smartphone app via Bluetooth 4.0 LE. Each of these terms are indispensable to the success of the movement -- the wearable tracker allows the wearer to monitor his activities 24x7, the smartphone app allows the wearer to see the results and set personal goals, and the Bluetooth 4.0 LE (BLE) allows the two things to communicate regularly and wirelessly. Had any of these gone missing the user experience would most likely be so bad that no one would use the setup. Imagine you have to carry your smartphone all day including shower and swimming sessions, or have to retrieve the data from the tracker with a cable and charge every 2-3 hours. Then the manufacturers noticed one added feature to those trackers: to control the smartphone. This is very good because the wearer can often use the smartphone without even taking it out of her pocket/bag. However, a fitness tracker can only be this big and trade-off between size and functionality exists. I myself have tried a few fitness trackers from activity monitoring-only to smartphone-control-able, and I currently am very happy with my Garmin VivoSmart. I'll start off with the first fitness band I had. It's a Jawbone UP. It didn't have Bluetooth so the communication was done by plugging the band to the smartphone. Jawbone did a good job in making the connector a 3.5mm plug so it worked with the audio socket, and the app was pretty solid. Battery life was good (~1 week) and it looked very nice. I often got compliments for its fashionable design. However a huge flaw was it had almost no indicators except 2 faint LEDs and vibrations. In the HCI point of view it's lack of feedback really set it back. My plan has always been to wear a tracker as a band so I can look at it any time I want and I won't have to transfer it when I change my clothes. And because of this plan I also want my tracker to be more functional than just a fitness tracker. In 2014 there were only 2 bands that meets my requirements. And I got them both. 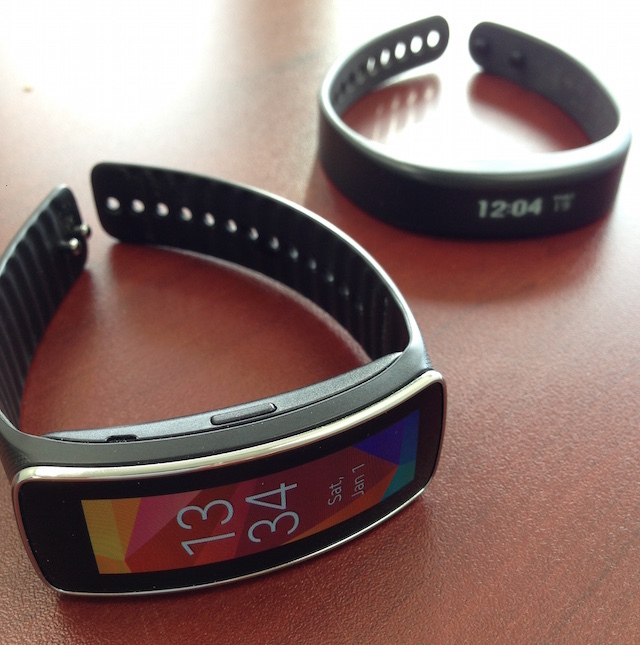 The first one I got was the Samsung Gear Fit (bottom band in the photo). It's the first band in the market using an OLED touchscreen and it's gorgeous. It's a bit thick but not by much, probably because it also had a heart-rate monitor underneath. It displayed notifications from the smartphone and could even do some control. Unfortunately only the newer Samsung devices are fully compatible, I managed to pair it with my Nexus 4 but I could only receive notifications. Then I come across with the Garmin VivoSmart. I like it because it works with both Android and iPhones, and has no physical buttons. It's compact and has decent battery life (~1 week, 2 if BLE is off). It only has a single color dot-matrix LED but it goes well with the band -- when it's on it's as if some characters magically appear. It tells time as well as other tracking information. My only 2 complaints are it requires a proprietary charger and the app requires internet connection to work (and it's slow). You might probably ask what are my criteria in choosing a smart-fitness band. Afterall there are a lot of options out there. Well first it has to be compact and can last for at least 1 week. This is why I never considered a smart watch, which typically translates to bigger in size and shorter in battery life (Moto 360, Samsung Gear, Apple Watch... all last less than 2 days). Next it should provide some functions related to the smartphone. I like the fact that I can use it as a remote to my smartphone, besides providing notifications. That's why Nike Fuelband, Fitbit, or cheaper bands that only have 2 to 3 lights don't work for me. Then it has to be comfortable and durable. If I want to wear it 24x7 it shouldn't get in my way and can withstand a bit of abuse. That's why Razer Nabu (reported to chip off in 1 week), or the chunky Microsoft Band with 10+ sensors (not available in Canada anyway) don't work for me. I hope my criteria make sense to you and help you to decide which is good for you (I still recommend the VivoSmart, but wait until it's on sale for around CAD120). Not surprisingly there are some newer products that seems to offer the same appeal if not more. One is the HTC Grip band. It's stylish and does pretty much everything I want it to do. Let's see if I could get on under a reasonable price (USD200 is not). Re-blogged from my now-not-updated-as-frequently-but-still-awesome blogspot page [link]. Since childhood I have been very fond of watches. I like collecting them and wearing them. Of course due to my limited budget I can only afford a few of the ones I like, but still I have a considerable collection of various kinds of watches, from analog to digital, from plastic to steel, from quartz to automatic. It is fascinating to see how the interpretation of time can be displayed in such a variety of ways. But then I stopped purchasing when I got my dream watch, which I've been wearing almost everyday. I feel sorry for my collection of watches but for many reasons I keep wearing this single one. The Uno by Botta Design. Designed, made, and bought in Germany. The interesting thing about this watch is it has only one hand. I really like the simplistic look of it and the color combination. However, the trade-off of having just one hand is you can only tell time up to the accuracy of 5-10 minutes. It's also not very practical if you are in motion as you really have to stand still to see where the hand is pointing at. The 103 series by Uniform Wares. To my surprise this design is very rare and I haven't been able to find something similar. This is of course a good thing, but at the same time a bit surprising, as one would expect such a simple design should appear among many brands. In any cases, I'm very happy with my purchase. 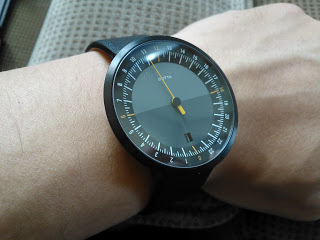 More recently I stumbled upon a watch called No. 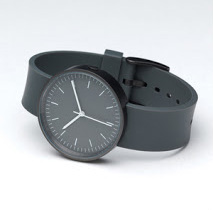 1 Watch by TID, a Swedish brand. It's probably one of the cleanest watches I've even seen since the 103 series. It's slightly more readable by having numbers instead of ticks, and has a tougher look because of the use of NATO strap. Another neat design is the knob is on the other side, so it won't hit you when you flex your hand. No. 1 Watch by TID Watches. Many people are now forgoing wearing a watch as their phones and computers have the time-telling function already, but to me it's a statement of style, and a constant reminder of the technical marvel we human can do in such a small scale. Honest reviews from personal experience. With a focus on HumanComputerInteraction / Usability. No frills.